If you have been charged with fraud or money laundering in Columbus, Ohio or any of the surrounding areas, contact Burke, Meis & Associates to discuss the facts of your particular case. Attorney Adam Burke is experienced and knowledgable with fraud and will make every effort to fight the charges against you. Contact Attorney Adam Burke today for a free consultation at (614) 280-9122. Federal law defines Fraud as knowingly using a trick or scheme to falsify or conceal a material fact, make a false statement or a false document. Ref: 18 USC § 1001. Federal law defines Money Laundering as knowingly conducting a financial transaction with criminal proceeds to promote the criminal activity, to conceal the criminal proceeds, or to avoid federal or state reporting requirements. Ref: 18 USC § 1956. Fraud and Money Laundering – Federal Penalties. Federal Fraud Penalties. For general fraud offenses, the maximum federal penalty is 5 years, or if the offense involves international or domestic terrorism 8 years. Ref: 18 USC § 1001. Federal Money Laundering Penalties. The maximum federal penalty for money laundering is 20 years in prison and either twice the value of the transaction or $500,000 (which ever is greater). You can face federal money laundering penalties for each separate transaction. Under federal law, you may be indicted for every transaction connected to the laundering plan. This means that you may face penalties even for “innocent” business transactions that are connected to criminal proceeds. Ref: 18 USC § 1956. Since there is an overlap in the two offenses, the federal grand jury will often include fraud and money laundering as separate counts in the same indictment. 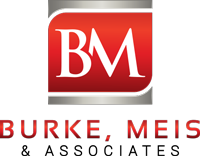 Contact Burke, Meis & Associates today for your free consultation and to discuss the facts of your case. It is important to hire an experienced attorney who will make every effort to get the best possible outcome for your case. Call Attorney Adam Burke now for your free consultation at (614) 280-9122.